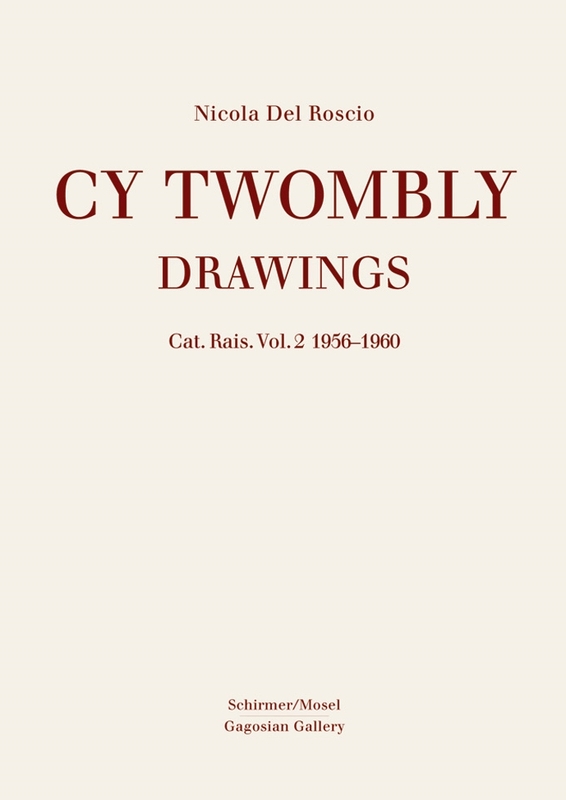 Volume 2 of "Cy Twombly Catalogue Raisonné of Drawings" covers the very fruitful years between 1956 and 1960. Still a resident of New York in 1956, Twombly moves to Italy in early 1957 where he will stay, with intervals, until the end of his life. His first shows in Galleria La Tartaruga in Rome, Galleria del Cavallino, Venice, and Galleria del Naviglio, Milan, make him well-known in European avant-garde circles. In the summer of 1959 he rents an apartment in the village of Sperlonga at the Tyrrhenian Sea between Rome and Naples. Here he creates his sequence “Poems to the Sea” influenced by Mallarmé’s poetry. The year 1959 is also marked by the artist’s marriage and the birth of his son Alessandro in December. His work is increasingly dealing with color, yielding most beautiful colored drawings. The influence of street graffiti, too, is evident in his work incorporating explicit sexual allusions and jokes. At the end of 1960 Cy Twombly has his first solo exhibition at the Leo Castelli Gallery in New York. Schirmer/Mosel. Edited by Nicola Del Roscio. 308 pages, 267 colour plates. Size: 24,5 x 34 cm, hardcover. English edition.